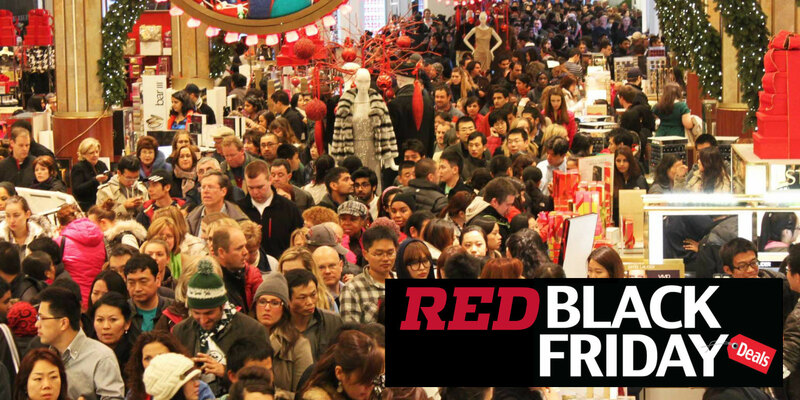 RedBlack Friday Causes Confusion For Bargain Seekers | Ottawhat? Black Friday has its roots in American Thanksgiving sales, but many Ottawa businesses will be offering major discounts this weekend as well. The Ottawa RedBlacks got their name from Ottawa’s previous CFL team’s colours, Red and Black. With the RedBlacks capturing a spot in this year’s Grey Cup on Sunday, there has been a lot of confusion as to what customers and fans can expect to find while they’re out today. The city has declared today to be “RedBlack Friday”, with restaurants and bars in the Glebe and Old Ottawa South offering specials through this weekend as Grey Cup hype builds. By later today this confusion should all be sorted out, but it may happen all over again if the RedBlacks are able to win on Sunday. Kettleman’s has already said it plans to offer discounts and special deals on Monday if Henry “Cyber” Burris wins Grey Cup MVP.